Paul: Quinns, what is this place? Quinns: Paul, this is the place I come to every weekend to prepare for Games News. Here they provide only the choicest cuts of gaming information, the freshest servings. Paul: Quinns, I’m not sure all this stuff is ethically sourced. Look at the menu. There’s a platter of unattributed and speculative announcements, a buffet of Kickstarter links that looks long since spoiled and the soup of the day is just another expansion that nobody’s actually provided any photographs for. Quinns: But we’re not eating from the regular selection. We’re going into The Back Room, where we can choose our still-squirming news, watch as it’s slain before us and prepared to exactly our parameters. Paul: That’s horrific! What sort of a place would do such a thing?! Except I guess any seafood restaurant, which is all the proof you’ll ever need that seafood is disgusting and that everyone who enjoys it is bad. Quinns: Come quickly. They’ve got a table for us. Paul: That must be a… tank packed with slick, wet news shipped straight from the Gathering of Friends. The yearly, invitation-only convention for board gaming’s best and bearded held by Ticket to Ride designer Alan Moon. Quinns, why weren’t we invited? 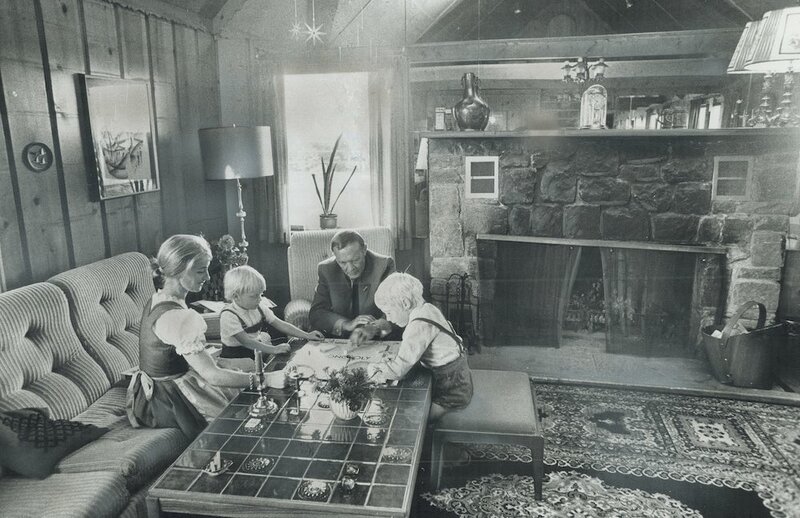 Quinns: Probably because despite being among the world’s largest board gaming sites, operating under a functional business model and enjoying more than a million page views a month, we’ve always displayed a uniquely English dubiety over the industry at large and irregularly suggested that it is frumpish and strange, to say nothing of our refusing to pay our dues to any number of respected industry figures and instead making fun of their timeworn business practices. Paul: We didn’t get invited because they haven’t heard of us, have they. Quinns: Probably not. It’s all our fault. Savvier bloggers, in the right place at the right time, have seized all the stories we could not. 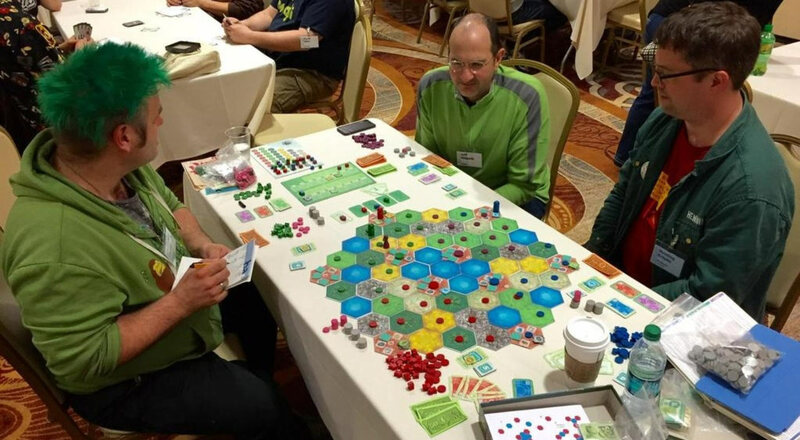 People can read a great roundup of the prototypes present at the Gathering here, thanks to BoardGameGeek (who posted these fine pictures), but you and I can get stuck in to the cold cuts that are left. Paul: Eurgh. I really don’t know. Ooh, look here! 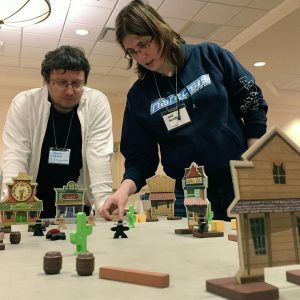 Flick ‘em Up is a cowboy dexterity game where players rob banks, free prisoners and flick bullets at poor, poor innocent bystanders, while a final players tries to stop them as the sheriff. Terrific! Quinns: So tasty! We loved the dungeon-crawling dexterity of Catacombs, we loved Cube Quest almost as much, and while we thought Rampage (now titled Terror in Meeple City) was a bit weak, I’m still hungry for games that make me laugh while slightly hurting my index finger. Porta Nigra looks wonderfully three-dimensional, too. And look! 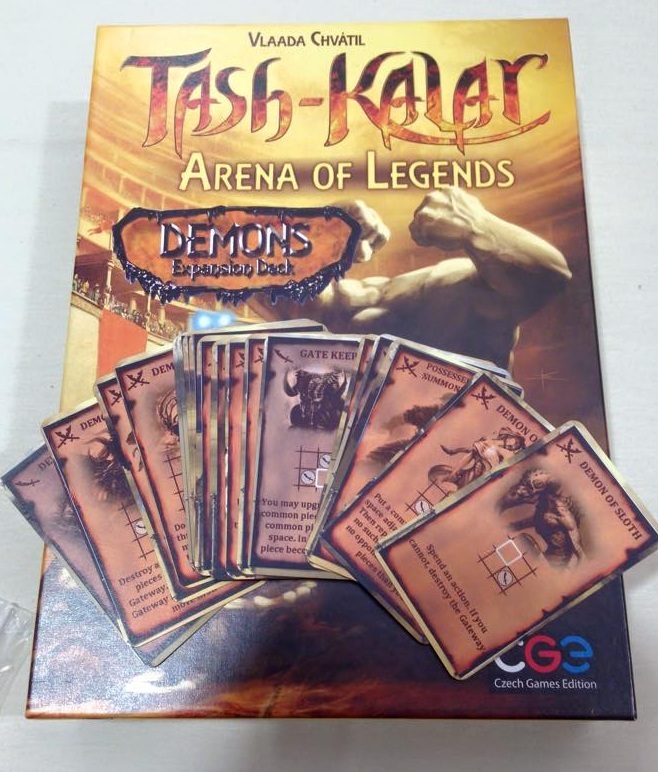 Right at the back of the tank, the first expansion is coming for the fantastic Tash Kalar, adding a new faction of demons to a game that was already devilishly clever. And there’s a Galaxy Trucker expansion next to it! Paul: Another one?! But we just had the anniversary edition! Quinns: I know, but look how fun this looks! 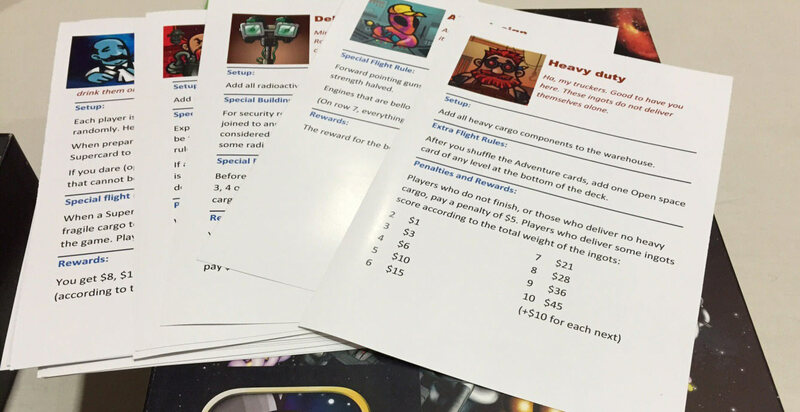 Each flight of Galaxy Trucker themed around a particular customer, with special components and special rules for the flight, forcing you to build your ships differently. That’s fantastic. I think its in response to the success of the app. Paul: It’s a good app. Quinns: Ah, it’s time for our entree. Here Paul, you work your way in from the biggest knife to the smallest, and the steel wool is for if you get anything on your skin. Paul: What’s in here? Oh my god. Eurgh. 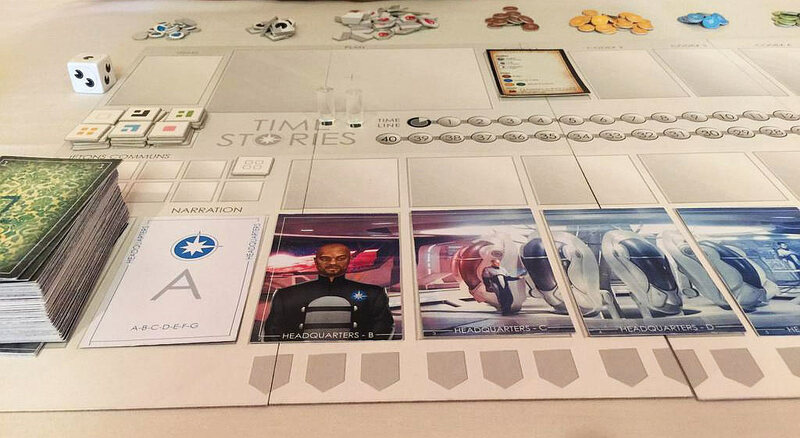 Is this… is Time Stories finally coming out this year? Quinns: It is indeed. News of this ambitious roleplaying / puzzle game first started circulating in 2012, but the gist is that players are all special agents, leaping into the bodies of people from outside their timeline, then working together to complete a particular objective- perhaps you’re trying to stop a day-after-tomorrow zombie apocalypse, or maybe you’re playing princesses in Ancient Egypt. As far as I can tell it sounds a bit like a co-op Arabian Nights, except instead of failure meaning you pour yourself another drink, here failing at your job simply sees you going back in time again with all the knowledge from the first playthrough like the big cheaty time travellers you are. Paul: Quinns, I don’t think I can eat this. It’s a bit cold and keeps phasing in and out of existence. Quinns: Your loss. Garçon! Dessert! Quinns: Just something small and sweet. Paul: Ah, I see what you mean. 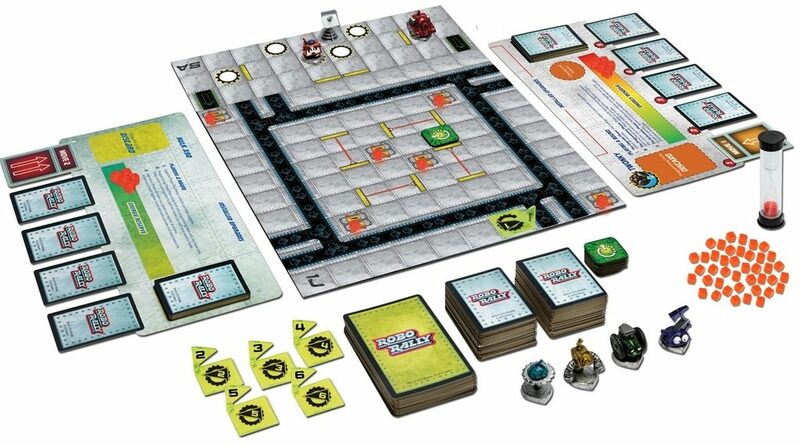 The Kickstarter’s been launched for One Night Resistance. Just like the excellent One Night Ultimate Werewolf, this takes the famous game of lies, spies and counter-spies and pares it down to just one turn (and you can read a design diary of how that works here). Who wouldn’t like that? Quinns: Me. Oh my god. I’ve been keeping count. 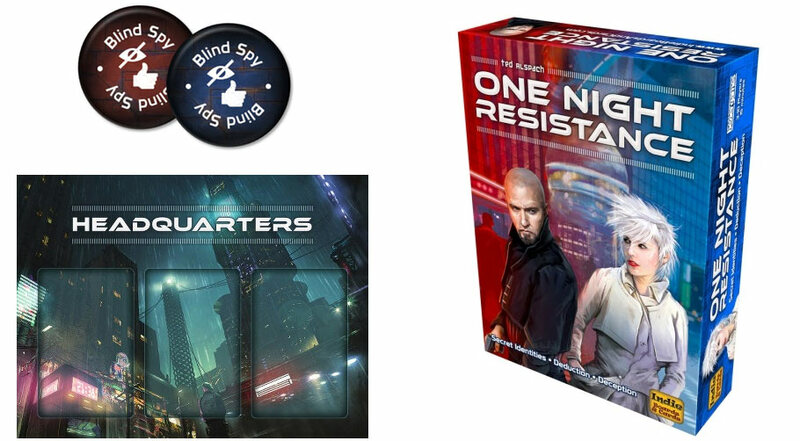 We now have Werewolf, Ultimate Werewolf, The Resistance, The Resistance: Avalon, One Night Ultimate Werewolf, One Night Ultimate Werewolf: Daybreak, The Resistance: Hostile Intent, The Resistance: Hidden Agenda and now One Night Resistance. 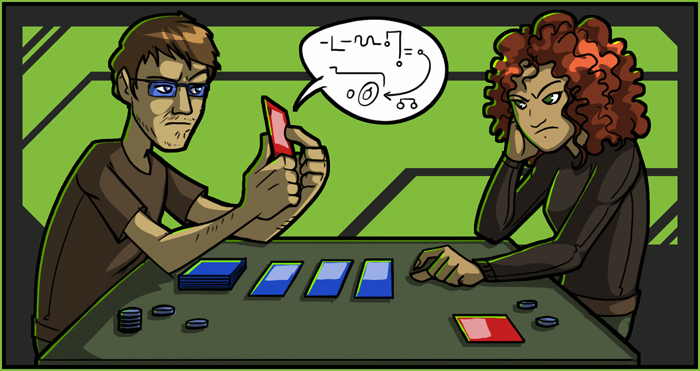 To say nothing of the endless promotional cards that were printed in small numbers during the Kickstarters for all of the above. I don’t feel any love for the brand anymore. You can’t own all of The Resistance without buying the same components five times for more than £100. Paul: You get so cranky when you’re gassy. Quinns: Common misconception! I actually get gassy when I’m cranky. Quinns: OH NO I’M GOING TO BE SICK.